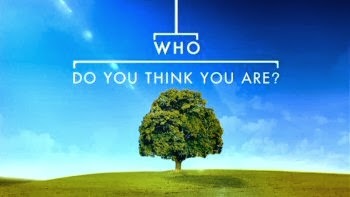 New History Lab: Who Do You Think You Are? An Impartial Historian, or perhaps not…. Who Do You Think You Are? An Impartial Historian, or perhaps not…. A few weeks ago I watched BBC’s Who Do You Think You Are for the first time – a rather shocking revelation for a historian. It was the episode in which supermodel Cindy Crawford sought the help of the BBC (and many historians and archivists) to trace her family history. As Crawford travelled on her backwards journey of self-discovery I found myself smugly differentiating myself from her (impartial professional historian vs. self-interested unknowledgeable family historian) before going on my own journey of discovery to realise that just because my research isn’t about my family, or anyone remotely like me, it is far from as impersonal or unemotional as I’d like to believe. Cindy Crawford’s overriding goal at the outset was to discover at which point her ancestors had crossed the great Atlantic divide to the New World. Going back twelve generations she discovered that although her great-grandfather ten times removed was a pioneering settler and a religious exile – fitting in neatly to already formed historical frameworks – he also deserted his family in America after returning home to seek a wife. Crawford openly articulated her struggle to empathise with this man; she certainly seemed to consider their shared bloodline bequeathed her some right to hold Thomas Trowbridge accountable to modern standards of kinship and fatherhood. ‘Ah’, I thought smugly, ‘as a professional historian I don’t let me emotions get in the way of these things – I study convicts, who’ve committed crimes big and small, and empathise with their plight equally.’ To her obvious relief Crawford soon discovered Thomas Trowbridge had failed to return to the colony and be reunited with his family because he had become embroiled in the English Civil War. Her qualms about his initial desertion laid to one side, Crawford (and the programme makers) seized on tales of war heroism in a manner that brings to mind Gove’s attitude to the WWI centenary. I was smug as ever, believing my study of the black sheep of society (and ones unrelated to me) meant that I didn’t fall into the emotional rhetoric of nationalist rhetoric. Yet, a twinge of self-awareness made me ask myself – was this the result of historical impartiality? Or was my choice of a study – a personal proclivity in a field where thousands of topics and thousands of years are up for grabs – really borne out of my own personal history? After all, my grandfather from Romania was conscripted to the German side (see even here I wince from using the word Nazi, for I have no reason to believe my grandfather bought into the ideology, but I suppose technically he was) as he had moved from his homeland to search work several years hence. For that reason, alongside my upbringing as an expat abroad, I struggle to buy into national histories, and identify far more with those on the borders of the national story. The final part of the programme revealed to Crawford that she was related to the first century king of the franks Charlemagne. Crawford was absolutely elated, decrying that their genealogical collection was enough to bring that whole subject to life for her. My initial response was a sneer at the superficiality of her discovery – after all Charlemagne was her great grandfather fifty times removed. You only have to go back 12 generations to be related to over 4000 people. As we go back in time there are more duplicates (as cousins marry cousins) but regardless it is likely her family tree includes many more ordinary people – murderers, cowards, paupers – than it does royalty. But once again, I could lay no claim to historical impartiality. I rejected the importance Cindy Crawford laid on the blood relation, no matter how incremental, because my when my mum (who was adopted) found her biological sister and mother, it became abundantly clear to us both that shared experiences make people family, not blood. Both of the sisters tried to grasp hold of shared traits, but they really came from opposite backgrounds (one from the remote fields of Catholic Ireland, the other from the crowded streets of London). Again this view was consolidated by being brought up abroad, as much as I loved my extended family, they knew me far less than the family friends who we saw on a weekly basis. Perhaps the difference between the family historian and the academic historian is not as large as we like to think. While we’ve can make fair claims to impartiality in our analysis, I think that our initial choice of study masks deeply personal (and often unrealised) attitudes to nation, bloodlines and history itself – or maybe that’s just as personal to me as everything else!